Regular facials with a good esthetician are a must if you want to keep your skin in tip-top shape. Plus, there's just something so satisfying about having extractions done. But after a recent visit with L'Oreal Paris consulting celebrity esthetician Vanessa Hernandez, she explained to me that most of what she extracted from my skin was product — buildup not acne. What does that mean? 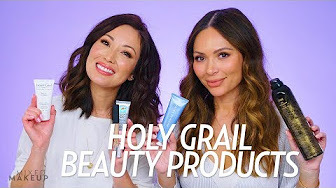 She explained that some products, specifically anti-aging products, penetrate so deeply into the skin that they get trapped in your pores, causing pimples and skin congestion. She explained that it's even more of an issue for me because my skin is young and my pores are tighter. My first reaction to this news was to ask her what ingredients or products to avoid, but she said it was where you applied the products that mattered more. The solution is to concentrate those anti-aging products on the forehead and around the eyes and avoid applying from the cheeks down. It makes sense because we really only see the signs of aging in those areas anyway. On the other areas, she suggested using anti-acne products instead. It's like you're multi-masking, but "multi-moisturizing" instead. Hernandez also suggested that you should only do the anti-aging part of the routine a few times a week – like Monday, Wednesday, and Friday. This will help make sure you aren't overloading your skin with product. If you are in the LA area, I highly recommend you visit Vanessa Hernandez for a facial. My skin always looks amazing for weeks after I see her. 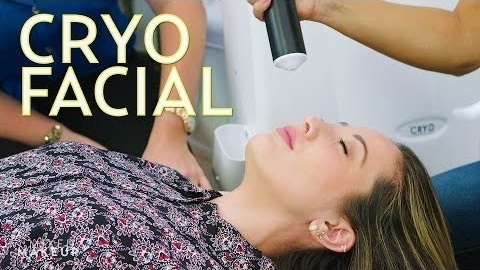 Watch her give Susan Yara and Sharzad Kiadeh pregnancy facials in this episode of The SASS.